Q: What is a chicken chunk? 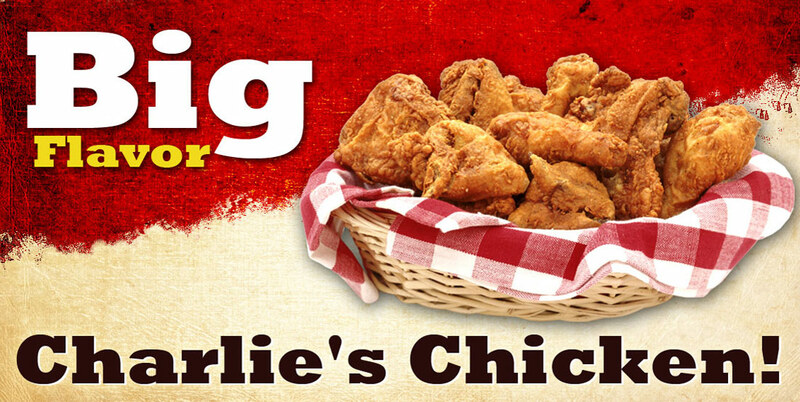 A: Boneless, skinless chicken breast meat, hand breaded and deep fried to juicy perfection. CHICKEN SO GOOD IT WILL KNOCK YOUR SOCKS OFF! 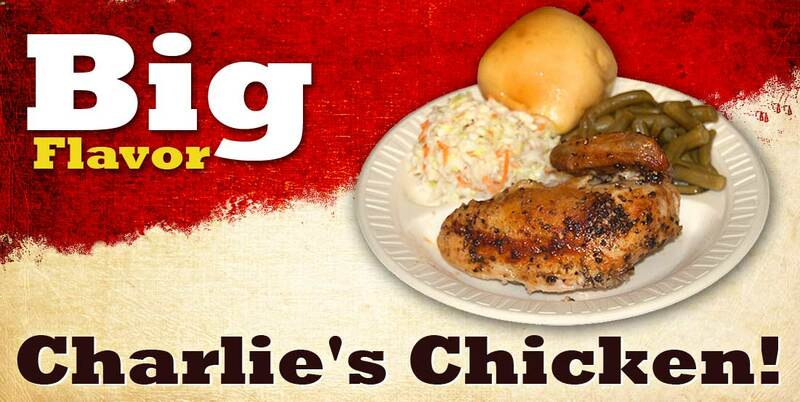 At Charlie's you can expect a delicious variety of freshly fried chicken complemented by over ten home-style side options, fresh cobblers and pies! 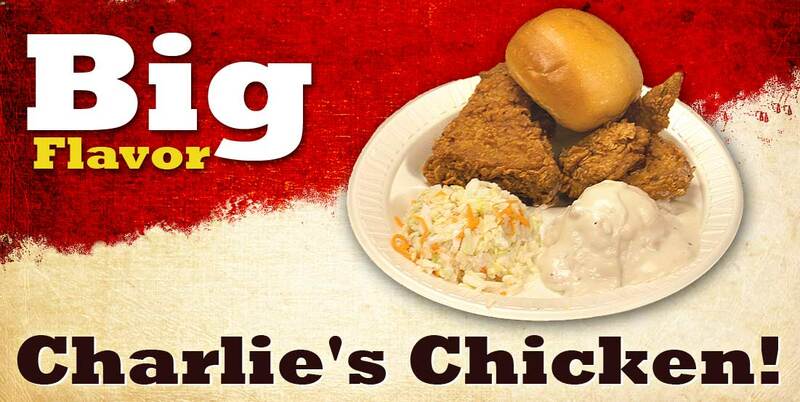 Our famous chicken is served quickly in our cozy dining rooms, in the drive-thru for those on the go, and at your tail gate if you'd like us to cater your event!